Size of this preview: 800 × 568 pixels. Other resolutions: 320 × 227 pixels | 1,623 × 1,153 pixels. 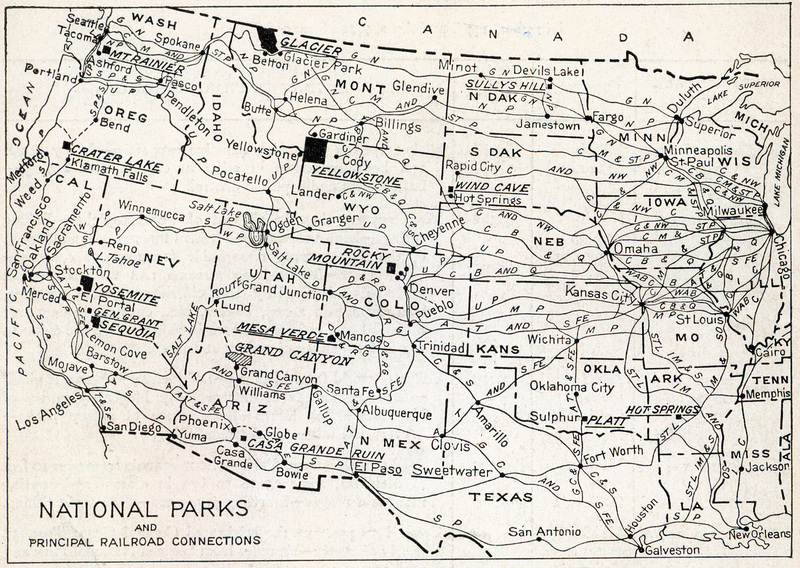 Description: The map shows the location of all the National Parks and their principal railroad connections as of 1916. 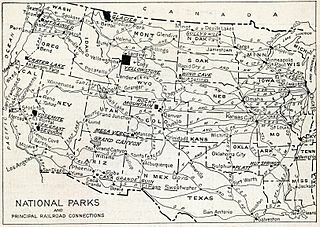 Permission: This image is a work of the United States Department of the Interior, taken or made as part of that person's official duties. As a work of the U.S. federal government, the image is in the public domain.